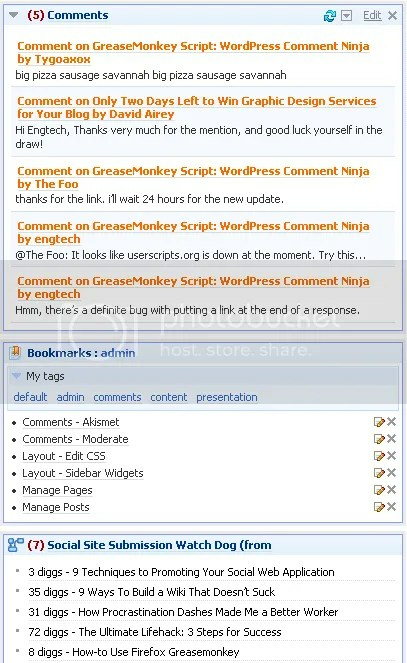 RSS is one of the most useful tools out there for moving information around on the web. Recently the concept of “micro-blogging” status updates has become very popular with applications like Facebook, Twitter and Pownce. The only problem is that it is a pain to update many sites at the same time. It is better to pick one and broadcast RSS to the others. I’m going to show you how to broadcast your Facebook status to Twitter. IMPORTANT UPDATE: The Twitter Facebook App now lets you control your Facebook status from Twitter. This tip lets you posts your Facebook status in Twitter. Using them together is a very bad idea. This is actually the hardest part. 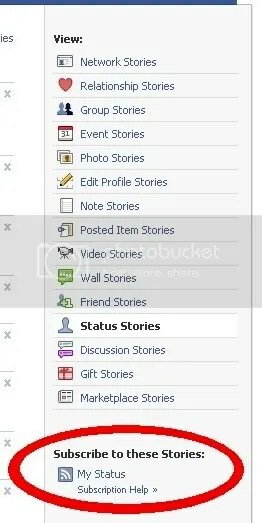 I’ve put together a Yahoo Pipe that filters your status. This isn’t necessary, but it makes the status updates look a little bit better in other applications like Twitter. It removes your name, and changes the link to go to your profile instead of the individual status. Feel free to clone it and tweak it some more. Eric is washing his cat. is washing his cat (from Facebook status). and the feed link is set to your Facebook profile. 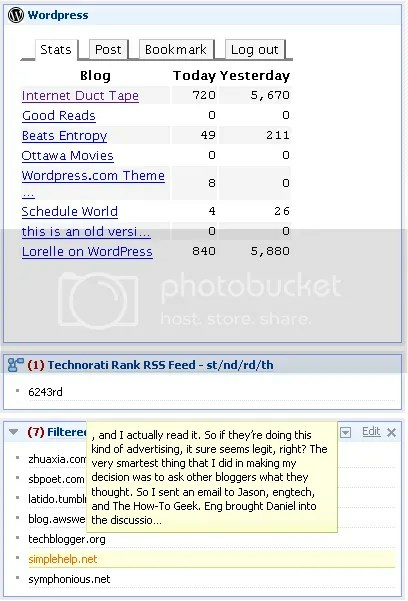 You can now put this filter RSS into TwitterFeed, your blog sidebar, etc. StumbleUpon and Tumblr are both interesting forms of micro-blogging, but I’ve been getting more into Twitter. Twitter lets me surf other people’s streams of thought (like a super micro-blog-lite with 140 characters or less per entry). You view all of the your friends/contacts “tweets” as a stream. What’s funny is when completely unrelated tweets can appear connected because of the random positioning of technology. Everyone is all atwitter about the Twitter web service. It’s a web-based broadcast instant messaging application where you can send updates by email or by SMS mobile. It has a limitation of 140 characters and is a lot like how people have always used their instant messenger away status (or their Facebook status). Like all public web communication people will lose their jobs and destroy relationships over Twitter before they realize that it’s all public, it’s all archived, and it’s all searchable (but you can restrict messages to only go to friends). I’m not going to use Twitter to start posting all of the trivialities of my life, but I *am* interested in using it to broadcast my blog posts, my del.icio.us bookmarks, and the occasional aside (you can friend me here). 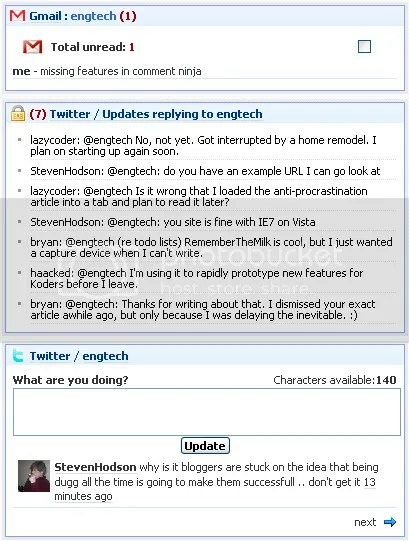 Here is how you can do something similar using a program called Twitterbot by R. Tyler Ballance at the Unethical Blogger. By the end of this guide you’ll have a program up and running that will download RSS feeds and broadcast them over your Twitter account.